Why can’t I just accept my traumatic birth? Many women ask themselves this. But what if you don’t need to accept it, to heal? We often have women attend our ‘Healing From Birth’ meetings who express this to us, berating themselves for what they see as their ‘failure’ to accept their traumatic birth. Melissa (from Birthtalk.org) was once one of them. She says, “I felt that ‘if only’ I could just accept what had happened, then I would be ok. And I would be able to move on. And many women echo the same sentiment. But what if you DON’T need to accept it? That’s what we share with women in our meetings. As Debby from Birthtalk.org says, “If acceptance requires forcing your feelings down, quietening your questions, silencing your sadness, and just instead trying to ‘be grateful’, then that’s not healthy. 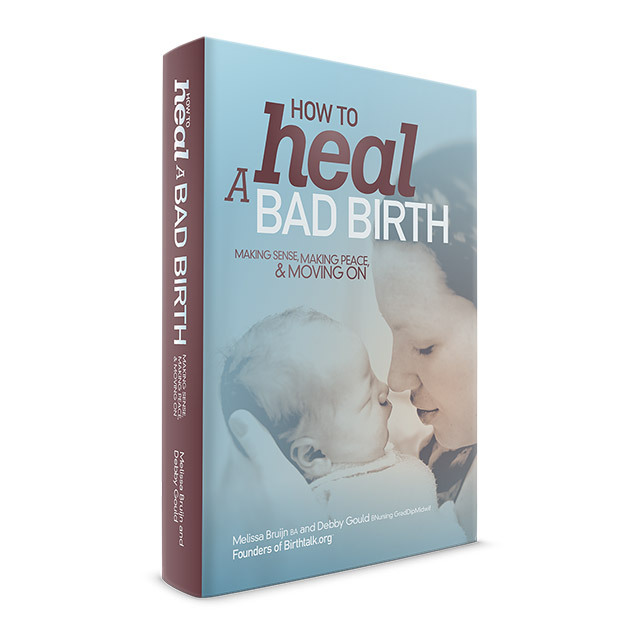 What if, instead of accepting your traumatic birth, you had the opportunity to explore your experience, to make sense of your feelings, and process whatever comes up, in order to release the intensity and impact? What if you could feel sad? And explore any feelings of guilt. Or express your frustration about your partner. And feel that there was a space for you to crumble and be held. And learn new things about birth, about babies, about mothering, and about yourself. And find perhaps a new depth of emotion that could only be uncovered once you’d been able to do these things. A depth that allowed you to feel MORE. rather than feeling trapped, and shut down and busting a gut to just ACCEPT it. You don’t need to accept it. Acceptance is more likely to come once you have processed the darkness. And found the gifts. They are there – but they might be hidden. Forcing yourself to ‘accept’ things won’t unleash these gifts. But taking the journey to healing can. ← The wrong questions to ask a woman after a traumatic birth.